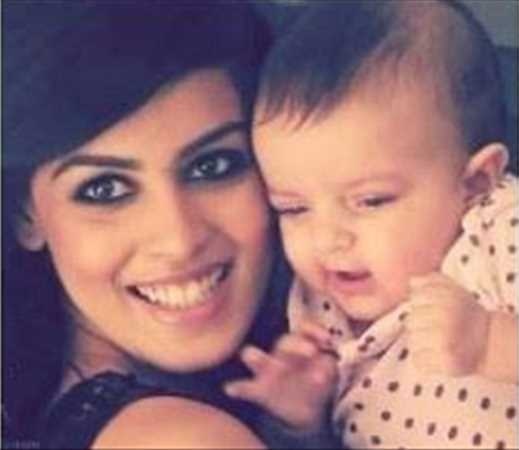 Pic Talk: Genelia- Ritesh’s cute kid..! Riteish and Genelia Deshmukh, who recently became proud parents of a baby boy has revealed their son's photo for the first time. The picture of Genelia's son Riaan Riteish Deshmukh is going viral on social networking sites. On 25 November 2014, the star couple who got married in 2012, was blessed with their first child in Breach Candy Hospital. And since then Riteish, has been updating about their baby's wellbeing on the micro-blogging sites. Genelia and Riteish, fondly called by their colleagues as 'cutest couple of tinsel town' tied the knot in 2012.They dated nearly for 10 years before entering the wedlock. Riteish and Genelia started dating each other in 2003 during the shoot of their first film together "Tujhe Meri Kasam". The couple later starred in another film, "Tere Naal Love Ho Gaya’’.